The primary objective of a master class presented by Neal Berntsen is to inspire. 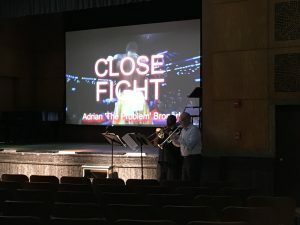 Around the world, Mr. Bentsen’s entertaining classes have helped students reach their potential not only in trumpet and music – but also in life. In the constantly shrinking world of classical music, Mr. Berntsen focuses on the fact that there is always a need for excellence. Master classes focus on how to attain the necessary skills that individuals need for success in the world today. 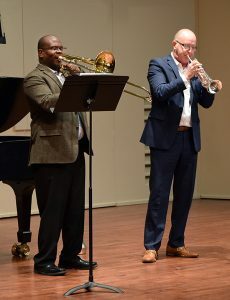 Formats for the master classes vary – whether a lecture/recital, coaching of excerpts or solos or multi media lecture, a master class with Neal Berntsen will use fundamental techniques to inspire students to reach their goals.